Episode I-V of Umineko no Naku Koro ni, “fool’s mate”, begins with Battler matching up the deaths of Genji, Nanjo, and Chiyo with the sixth to eighth twilights in the inscription. (Incidentally, this confirms that 足 in the inscription indeed refers to the leg, not the foot, which makes me puzzle about the redundant twilights.) When Battler tries to pry out who killed them from Maria, she still insists that it was Beatrice, and Battler is really having none of it this time, going beyond the exasperation from the previous episode into a fury. A gentler interrogation by George gets some answers out of Maria. She claims that Beatrice had appeared as a golden butterfly, flying through the gaps and making the door locked by Genji superfluous. Beatrice supposedly told Maria to face the wall and sing, after which the others were presumably killed. Maria was supposedly excluded from the slaughter thanks to the scorpion amulet Battler had returned to her earlier. As for how the others were killed, Maria claims that she does not know. Battler remains quite adamant about Beatrice not existing and aggressively demands real answers from Maria. Likewise, Maria is firm in her claims that Beatrice was responsible. This is when Jessica notices that her mother is missing. Maria casually mentions that Natsuhi had left the room after reading a letter, which has Jessica trying to leave the room in a panic in search of her mother. However, Natsuhi had jammed the door to prevent the others from leaving. In the hallway with the portrait of Beatrice, Natsuhi waves her gun around and demands that Beatrice appear. From the darkness a single golden butterfly appears, and Natsuhi fires a single shot to end things. The gun was definitely oriented horizontally when it was fired. However, when Battler and the others break through the door immediately after the gunshot, they see Natsuhi falling dead with a single bullet hole in her forehead. And they find no sign of the letter Natsuhi supposedly read. Unsurprisingly, Maria is awfully happy about how things are going. Maria recites the ninth and tenth twilights of the inscription, congratulating Beatrice on how everything is over and wanting Beatrice to take her to the golden land. Battler denies it all, picking up the gun from the now-deceased Natsuhi and aiming it at Beatrice’s portrait despite the terror he is feeling. He expresses his determination to stay alive until the storm subsides and the seagulls return, that he is not going to be killed. Maria belittles Battler that guns are useless against Beatrice, not to mention that everything is already over and time has run out, pointing out the clock which shows it is now 12 o’clock. A golden butterfly appears, flying around the portrait of Beatrice. Maria recites the rewards promised by the inscription, but this just angers Battler and he shoots the golden butterfly. This makes a hole in the portrait and shatters the golden butterfly into pieces, but the pieces just reform into more whole butterflies. The golden butterfly is the first indisputable evidence for Battler, George, and Jessica that there is indeed something supernatural going on, but by now it is too late, and the scene ends with Beatrice’s laugh. Some time in the future, a couple of fishermen pick up a message in a bottle from the ocean. It is a letter from Ushiromiya Maria, saying that she is probably dead by now and that her only wish is for the reader to reveal the truth. And Umineko no Naku Koro ni ends with a depressing statement on how the truth of the “Rokkenjima Witch Serial Killings” remains a mystery to this day. Not really, of course Umineko no Naku Koro ni is not over yet. In fact, we have just reached halfway through this episode. In a totally confusing turn of events, Battler, George, Jessica, and Maria are back in the mansion, talking about what had happened in a very relaxed atmosphere. They are even served tea and dessert by the now hail and hearty Shannon and Kanon. They’re disappointed about not having been able to figure out anything, realizing it was a mistake to have entirely focused on who may have been the killer instead of solving the mystery of the inscription. Shannon mentions that Kanon’s death may be a big hint. Since everyone was accounted for at that point, it strongly suggests the existence of an outsider as pointed out by George. Of course, Maria reminds them that she had claimed that Beatrice was responsible from the beginning. And Jessica thinks that everything could only be explained by a supernatural existence such as Beatrice. Kanon follows the trend, and everyone besides Battler is concluding that Beatrice was behind everything. This does not sit well with Battler, who continues to insist that a normal human must have been responsible. The others point out how the events cannot be explained with normal causes, concluding that it must be a supernatural Beatrice that was responsible. On the other hand, Battler cannot accept the supernatural even if he cannot explain the events yet. If the killer was a normal human, then attributing the murders to Beatrice would be letting the killer go scott free. Maria is disappointed that there is a single person, Battler, who continues to disbelieve Beatrice, which prevents a miracle happening and completing the magic. Battler interprets this as something everyone believes in becoming the truth, but he is firm in his disbelief of witches. Battler metaphorically suggests turning the chess board around (although I’m not sure if the entire scene is not a metaphor), and he points out that bringing Beatrice in front of them is the simplest way to make him believe. Battler should be careful what he wishes for, as Beatrice does just that. 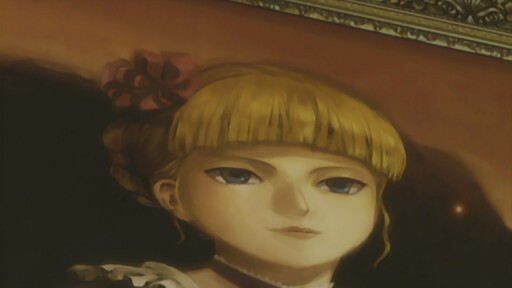 Battler does not immediately recognize Beatrice from her portrait, disappointing her with his rude manners of not even recognizing the host of the tea party he has been invited to. Kanon introduces Beatrice as the golden witch who has lived a thousand years, and Shannon greets her with reverence. While George and Jessica try to apologize for Battler’s attitude, this is fine with Beatrice, who finds it quite enjoyable. In fact, Maria points out that it is very much an honor for Beatrice to appear directly. It’s not enough for Battler, who deduces that Beatrice is a phantom of the Beatrice that Maria and the others believe in, who can only obtain a real existence if everyone believes in her. Beatrice compliments Battler on his deductions, concluding that Battler must have a high resistance to magical powers. Beatrice is very much looking forward to an enjoyable process of breaking down Battler’s disbelief in herself, while Battler remains defiant and determined to expose all the tricks. Beatrice pointing out how the murder mysteries all remain unsolved and disintegrating the others only strengthens Battler’s determination to explain everything by ordinary human means and remove Beatrice’s existence from the world. The scene then changes to another room, where we see an unfamiliar woman (who looks and sounds just like a grown-up Furude Rika, although to my knowledge she is most definitely not Rika herself) drinking a 200-yen cup of dried plum tea. Beatrice appears and greets the woman as the legendary witch Berkanstel, while Berkanstel is modest and claims to be just the witch of travel who has no intention of trespassing on Beatrice’s territory. Berkanstel gives further assurance that she is powerless against the witch who has the power to infinitely kill a single person, namely Beatrice. This has Beatrice pointing out that Berkanstel had repelled the cruel witch Lambdadelta, who has the power to kill a single person without fail. Berkanstel replies that she only won mediocrely, guessing that it was just because Lambdadelta became bored with the game. This has Beatrice pointing out that Berkanstel has the power to create a miracle without fail as long as the possibility is not zero, and she casually wonders which power is more powerful. Berkanstel states that she is just a traveller crossing over fragments and trying to escape boredom, and claims to have come only because she heard that Beatrice was doing something that sounds fun. If it is no fun, Berkanstel would just leave without a fuss. Beatrice asks for Berkanstel’s impressions so far, and she gets the reply that she is frightening because while she seems to have some affection, she is completely incomprehensible. Berkanstel’s reply pleases Beatrice, saying that tea with another witch is the best because it is never boring. Berkanstel states that boredom is the only thing that could kill a witch, so she hopes that Beatrice’s little game won’t bore her. Beatrice assures her that it will be fun and leaves. Berkanstel then turns to someone not shown, pitying the person for being dragged into a troublesome game. To make things more interesting, she is willing to lend a little of her power, but she makes sure to let the person know that it is not because she is on their side but because it would be fun for herself. Berkanstel calls herself the most cruel witch in the world who can make anyone succumb to her. She does not make an exception even for the witch of infinity, Beatrice. This is supposed to be motivation, for whomever Berkanstel is talking with, to work hard to make things interesting. This ends the first arc of Umineko no Naku Koro ni. With the completion of the first story arc, I wish I could be a brilliant detective and figure out what had happened without invoking the supernatural nor making speculative assumptions. Unfortunately, while I can think of plausible theories for each individual murder, I can’t make them connect coherently without making up assumptions. And “Beatrice did it” makes for an unsatisfactory answer, not only because it doesn’t really explain anything, but also because I doubt Beatrice just killing people with magic would be any fun at all for her. It would be much more interesting to subtly influence people’s actions to fulfill the instructions in the inscription. In addition, we still don’t know the rules of the game, so it’s nearly impossible to speculate what Beatrice did and why. The tea party with Battler and the others hosted by Beatrice is the afterlife and they know it. Except Battler makes it sound like the whole thing will repeat again. But the relaxed way they discuss what happened as if it was a game doesn’t make much sense otherwise, either. It’s almost as if they were talking about what happened to another group of people. 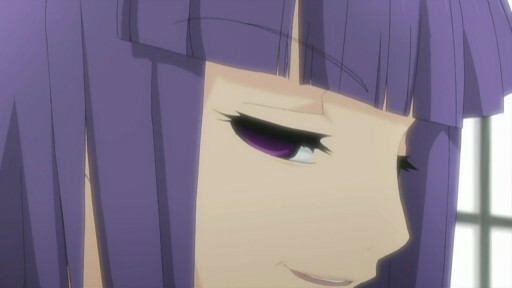 Beatrice is quite pleased with how everyone killed each other in this initial round, and she is looking forward for the characters to provide much more entertainment for a long time. The entire game will end either when Battler gives up and believes Beatrice is responsible for everything, or when Battler figures out the direct human agency behind everything and convinces everyone that Beatrice was not responsible. Upon whom did Beatrice use her power to kill a single person infinitely? What does this even mean? I’m guessing that Kanon is the only one directly killed by Beatrice, and he’ll end up being killed over and over again. The letter Natsuhi read was written by Kinzou condemning her and expressing how ashamed he is of her. This caused a psychotic break in Natsuhi, who externalized self-loathing towards Beatrice, and while she and we saw her shooting the gun in a horizontal orientation, she was actually shooting herself. Genji, Nanjo, and Chiyo all killed each other. Seeing this caused a psychotic break in Maria, who has deluded herself to believe that she did not see anything. Being part of the leg, gouging the knee should count as gouging the leg, and yet they are treated separately. Is there some special significance to the knee and the leg? The presumed death of Battler, George, Jessica, and Maria at the middle of the episode was caused by Battler snapping, where he shot everyone else and himself. Lucky accidents are going to occur to whomever Berkanstel is lending her power to. The next episode is going to start back on the morning of the second day, this time with a different set of six victims. This is the true start of Umineko no Naku Koro Ni. Welcome to Rokkenjima! Is Beatrice real or is she an illusion? Are all murders done by humans or the witches killed them all? Will you believe until the end that human is responsible for the crime, or will you submit to the witch and proclaim they were all magics? How will you play this game is up to you. What will you believe is also up to your own interpretation of each scene. Welcome to the endless torture of the Golden Witch. Oh a little note here: The Tea Party scene is taking place in the Purgatory, not in the mansion. They just have the same design. It’s as Battler state in anime, when something is believed by everyone, it becomes a truth. If you believe it is magic and witch that kill everyone, that will becomes truth. The Visual Novel (or Sound Novel) doesn’t have a choice, it just like reading novel with BGM and soud effects. The real game play is your thinking along the line while you read it, making speculations about what happens and discussion with other people.